Ahh bling, the frivolous accessories that transform a plain outfit into a vision of loveliness...or more likely remain in a tangled mess in an old shoebox. 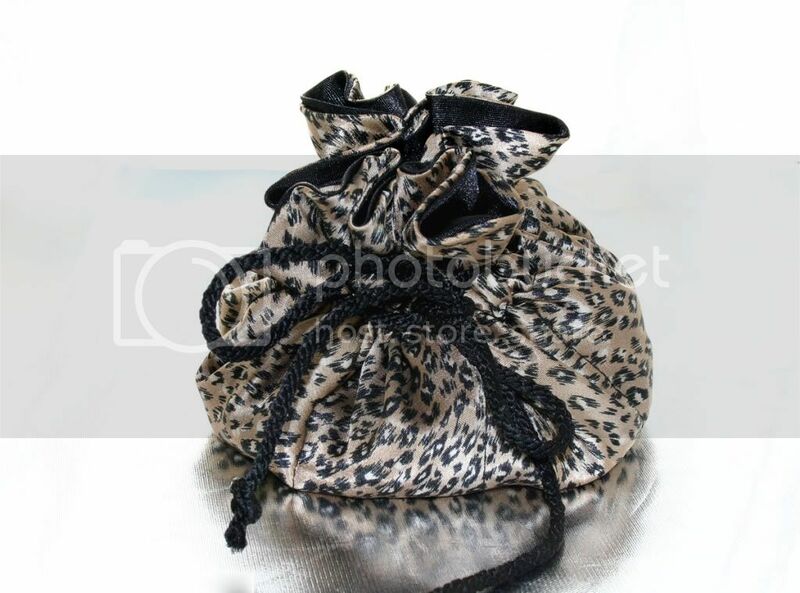 Jewellery needs good storage and practical ways of taking it with you when you're packing for holidays. 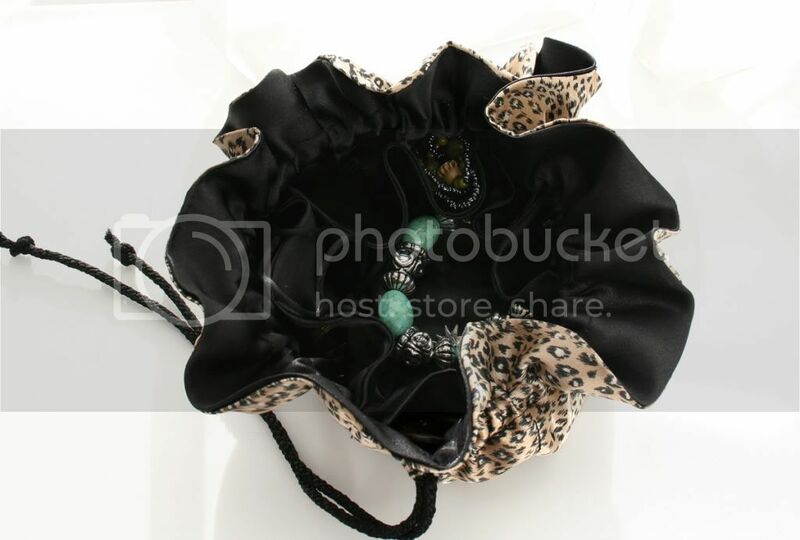 So here's an oldie but goodie, the jewellery pouch. 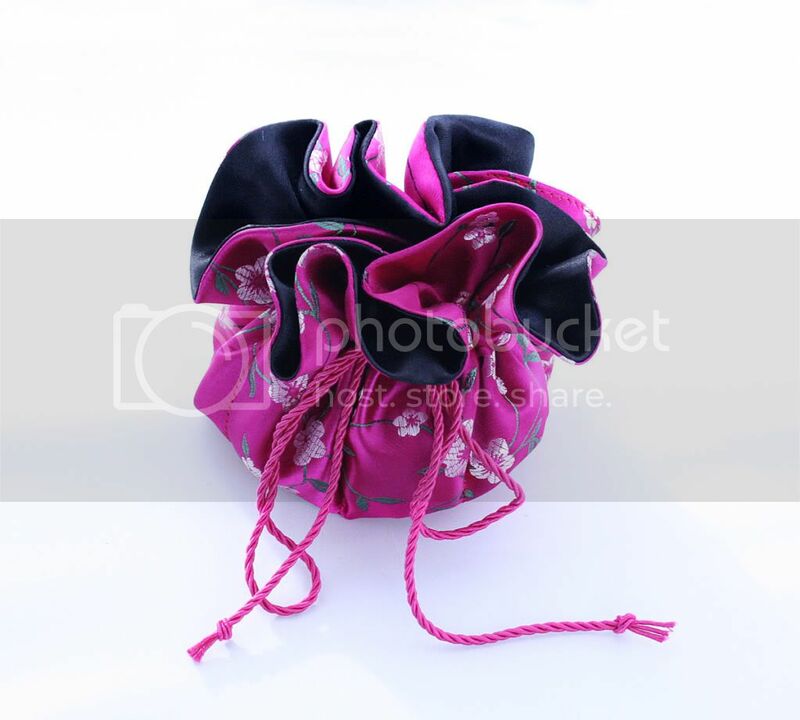 This little drawstring pouch opens to reveal a large central area to hold your chunky jewellery and bangles, and 8 little pockets to hold rings and smaller items. 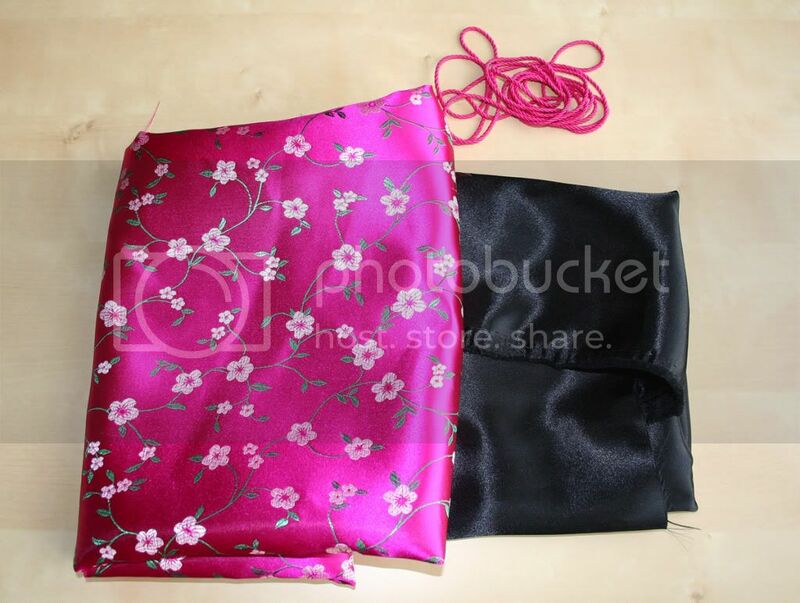 You can make the little pouch in endless colourways, using pretty much any light/medium weight fabric you want, but in this case I wanted to use silky fabrics, set off with a plain black satin lining. They're perfect for throwing in your suitcase, now that we're all starting to plan for summer holidays. 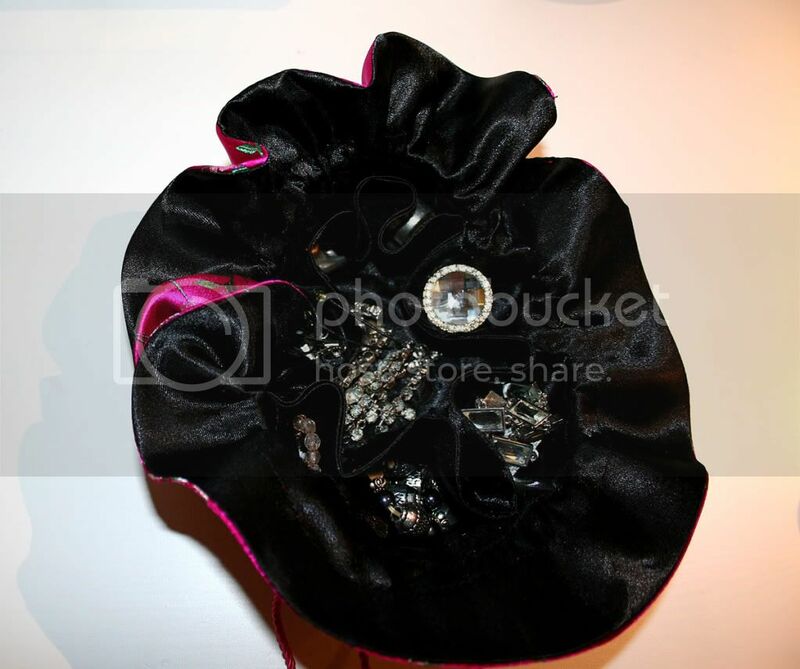 There are numerous tutorials online to make these little pouches, here's a tutorial on how I did mine. 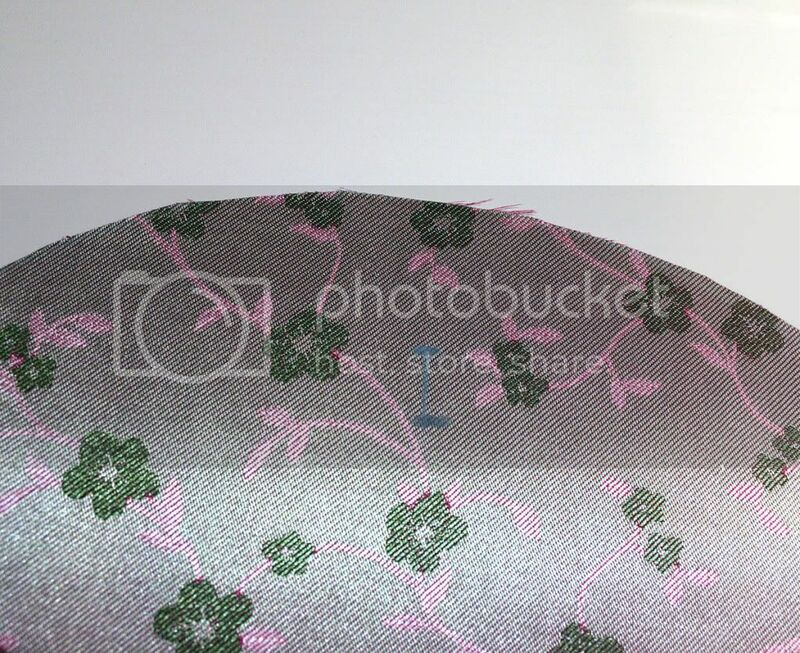 Choose a pretty fabric for the outer and a contrasting/matching fabric for the interior. I've chosen a lovely embroidered Chinese silk for the outer, and a medium weight lining satin for the interior, from The Remnant House in Harrogate. You can probably use scraps from your fabric stash as you'll need less than half a metre of each. Plus some rat-tail cord for the drawstring. 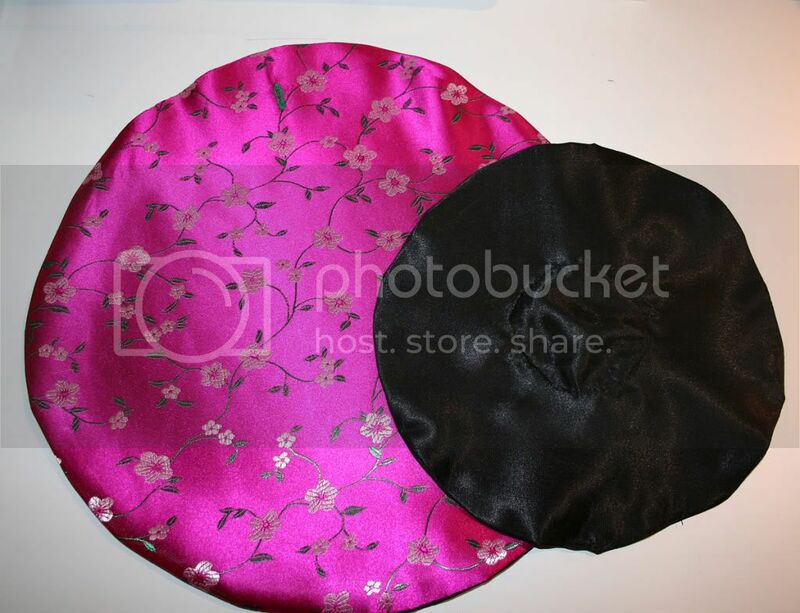 You can vary the measurements to suit the size of pouch you want, and vary the combination of fabrics, I've seen a lot examples where one of the small circles are cut from a contrasting fabric. 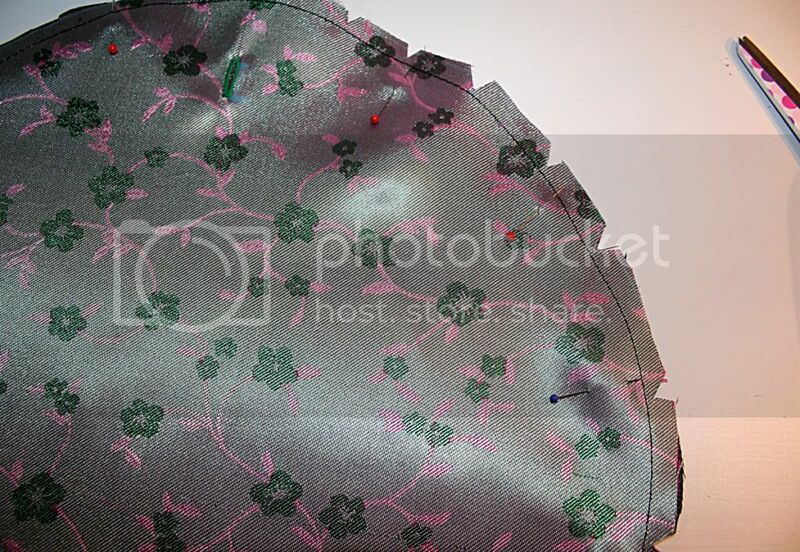 On the wrong side of your outer fabric, mark a button hole for the draw-cord, the top of the button hole needs to be 4cm (1.5inch) from the edge of the fabric. Right sides together, pin the 2 large circles together, and stitch round the outer edge, leaving a gap for turning right way out. Clip notches out of the seam allowance to remove some of the bulk, do not snip through the stitches. Set to one side. 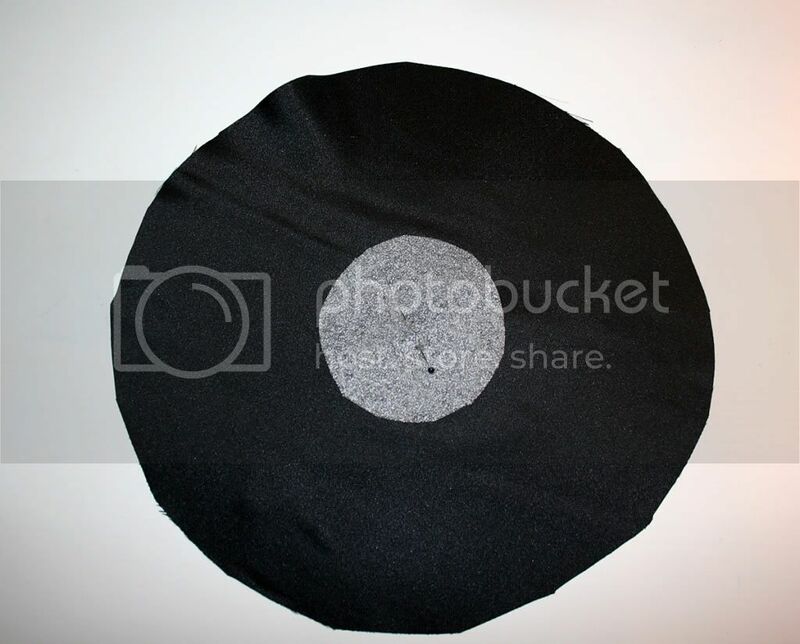 Take one of the small fabric circles and find the centre point of the wrong side. I did this by folding it into quarters and marking the point. 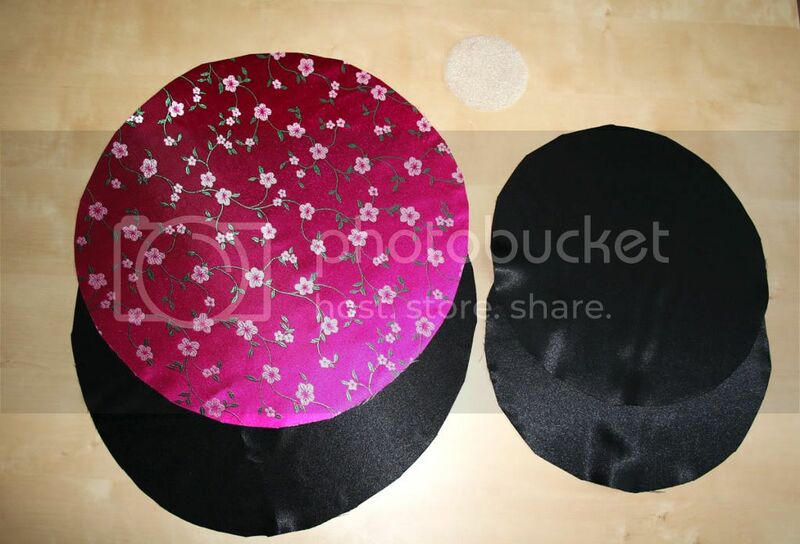 Attach the circle of batting/foam/interfacing to the centre of the small circle on the wrong side. 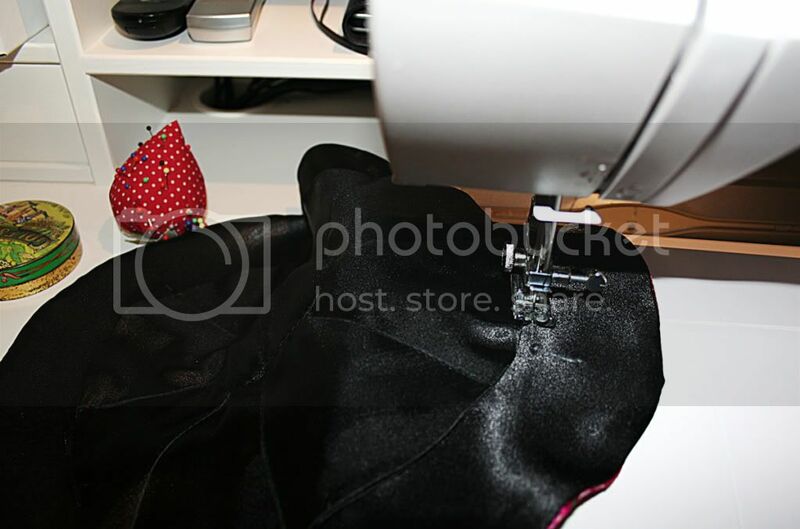 Iron in place if using interfacing (remove pin first! 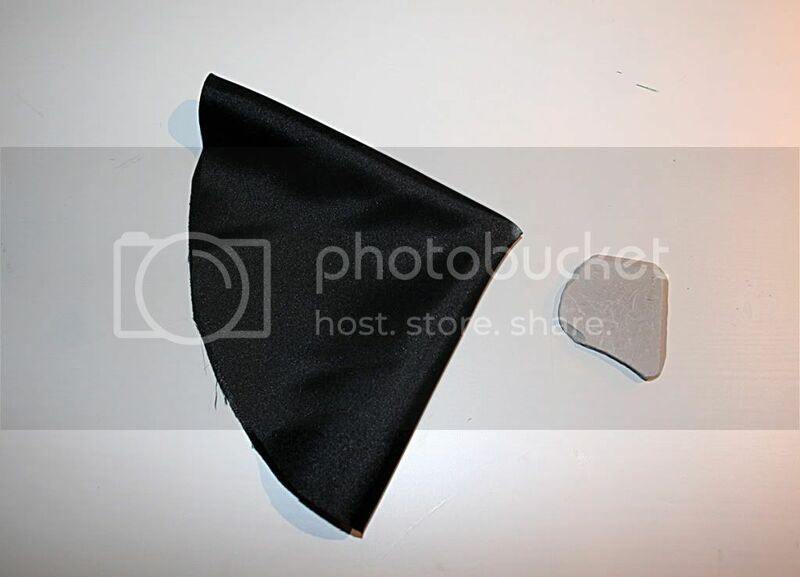 ), or stitch close to the outer edge if using foam or batting. At this point I hit a slight snag, my machine wouldn't sew over the circle of (cheapskate) foam, I realise I need a Teflon or roller foot to sew over something like that, but since I had neither I used some greaseproof paper (baking parchment) to sew over and then just tore it off. Join the the 2 small circles in exactly the same way you did before, right sides together, stitch and trim, leaving an opening for turning. Turn both circles right sides out, press (be careful not to press over the foam circle area if you used foam), and slipstitch or topstitch the openings closed. Now to attach the two circles together, place the small circle onto the lining of the large circle, matching the centre points. Using a ruler mark 8 equal lines on the inner circle as shown above, making from outer edge of the inner circle to the foam circle stitching line. 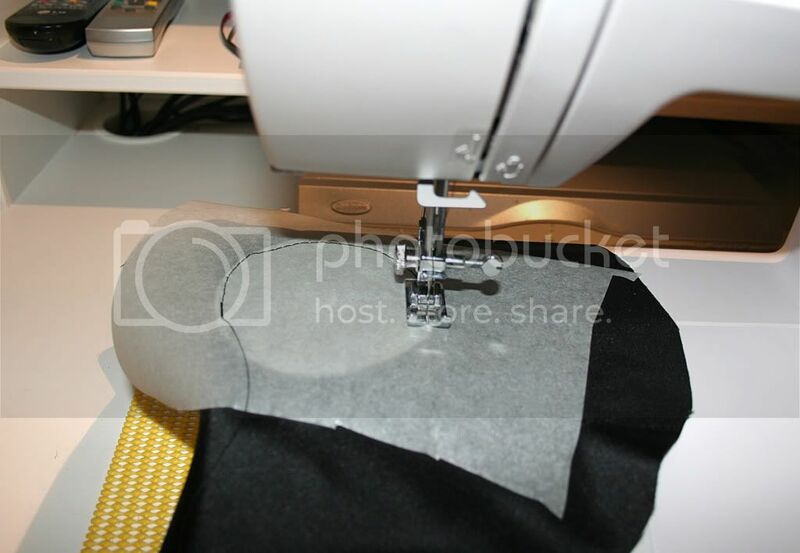 Sew over the foam circle stitching line to form the bottom of the pockets, otherwise small items can slip through . Stitch the marked wedge lines, from outer edge of the small circle, stopping at the stitch line of the foam circle. Be sure to backstitch as these lines will experience some tension when used as pockets. Almost there! Now to stitch the channel for the drawcord. 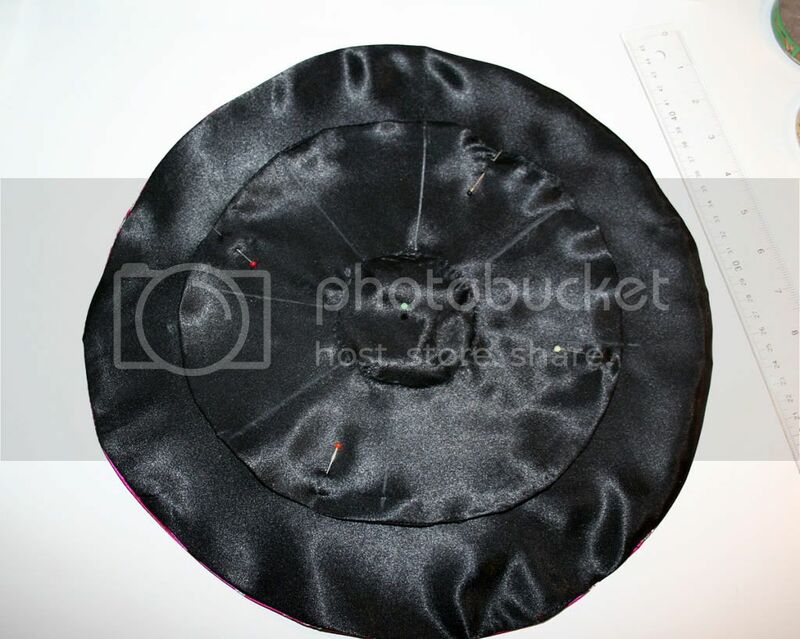 Sewing on the large circle only, you need to create 2 circular seams with the buttonhole in the middle. I'm sure you know what I mean and I'm over explaining but in more detail; On the large circle stitch a circular line all the way round as close to the edge of the inner circle as possible, be careful not to catch the inner circle fabric as you will 'close' the pockets. 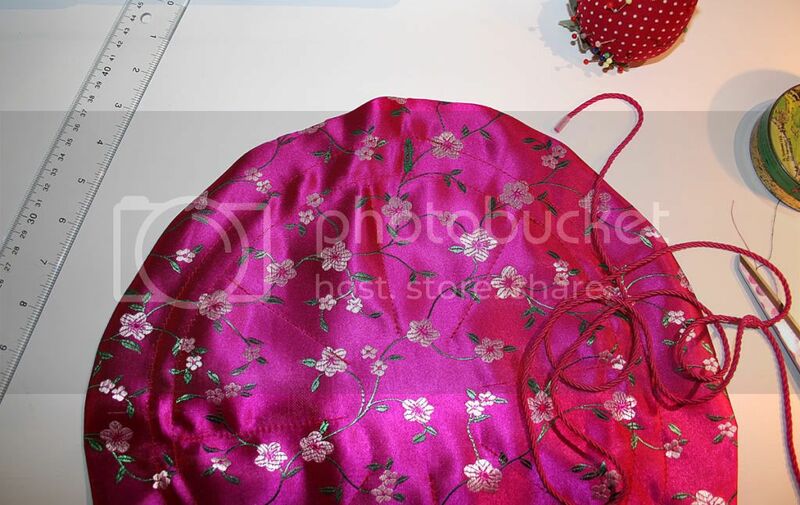 Stitch a parallel circle approx 2cm away, if your measurements were on target the button hole should lie within the 2 lines of stitching, adjust your stitch lines if necessary. 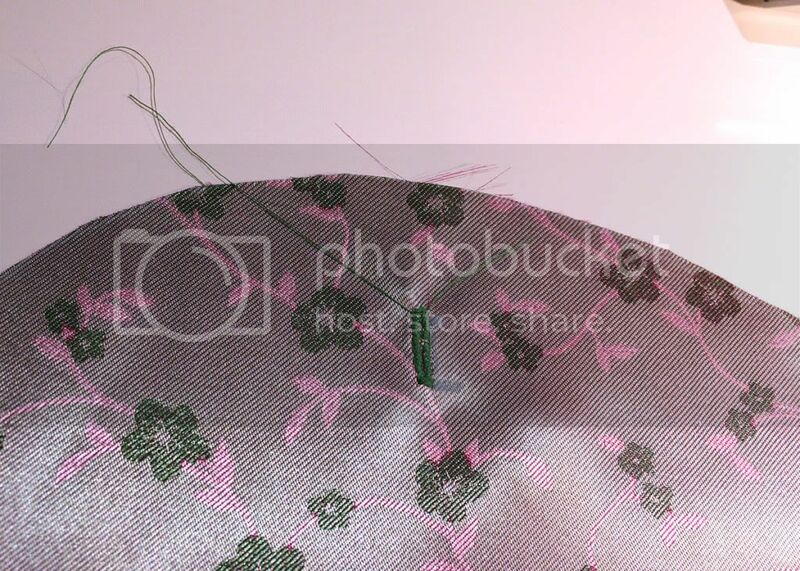 On this picture you can see the two lines of stitching which make up the drawcord channel, and the buttonhole lies between. Thread the cord through the channel. Pull up the cord to close the pouch and tie. You're done! I made two pouches in a couple of hours and I am very slow at sewing. I often read tutorials that say a project takes 20 minutes, and you can guarantee it will take me all evening, but I get there eventually and I enjoy the journey. Once you know how to make these pouches they're very easy and a good way of using up fabric scraps, they'd make perfect gifts. Here are the two I made, one for me, one for Wag Dollette....which do you think she chose? Wow! These are fabulous! I've never come across jewellery pouches before but they're a great idea - I just need to acquire enough jewellery to fill one! Love these pouches. Thanks for the tutorial. Thanks, and you were right, Wag Dollette chose the pink one! 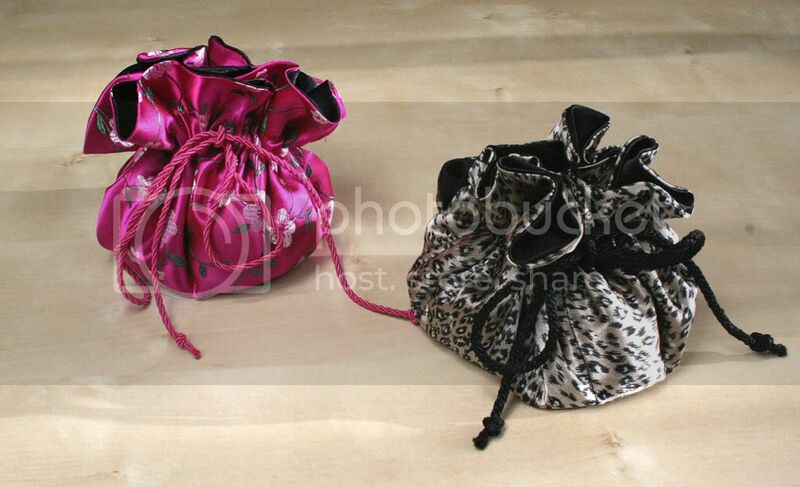 Really pretty pouches, I have some of DGD's silky PJ bottoms that would make good ones. Another job to add to the list of to do's! Great idea to add the inner pockets. I'll try it soon and let you know (if you like...). So pretty! I think I'll try this. Thank you for the tutorial. Love the fabric choices. 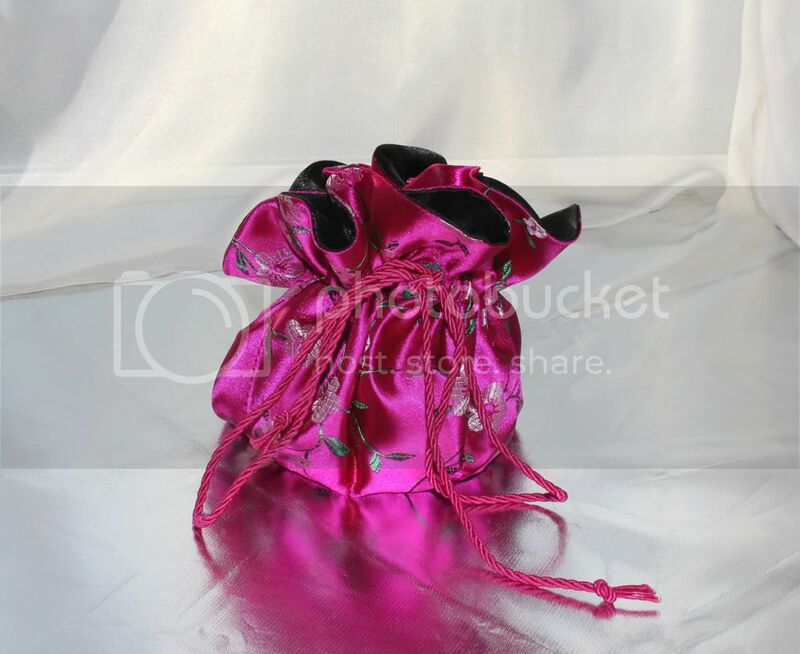 Gorgeous gift bag! Gorgeous way to store your jewellery. Thanks for the tutorial. Love the tutorial. What a great gift these would make for my girls. Thank you! I also loved the posh umbrella instructions. Too Cute, and since I have the material (somewhere in my soon to-be craft cave) and some bling to put in them. Thank you for the tutorial. Thanks SO much for this tutorial. I teach sewing in a high school in North Carolina, US and I am always looking for projects to help my thirteen year olds master sewing along curves. This is going to make a prefect little bag for them to carry to the Spring dance. Do you mind if I share your tutorial with other teachers in my district? Its so pretty!! Thanks for sharing the idea with us. Love it! I'll do it! That way all the girls will have a nice, useful momento of their family tree. 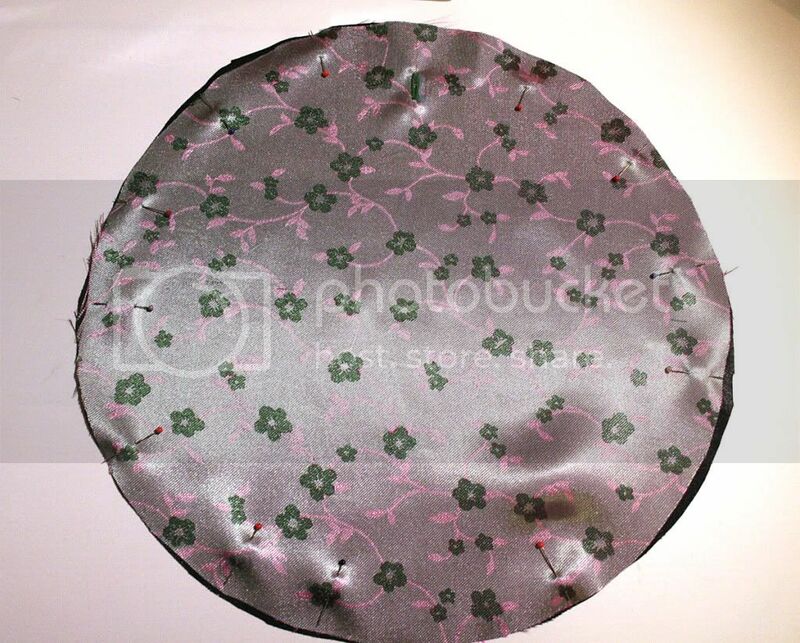 I used the top of coffee lid cut to the inner circle and slpped in before sewing the 8 lines making the bottom a little sruogr, works great but otherwise this pattern is the pattern I used and made 12 to give for gifts that everyone loves. A beautiful and very used bag.